It’s easy to create a web site that will market you or your company. Online site builders make creating a web site as simple as using a word processor. A fantastic web page can be created in less than three hours. Using online sit builders is inexpensive and many companies even have FREE trail periods! Once your web site is made, you can edit it any time you want, accept payments and donations, and even see how many people have visited your site. 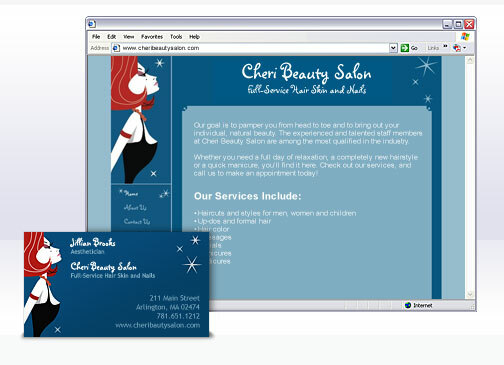 Coordinate your web site design with your business cards and letterhead too!